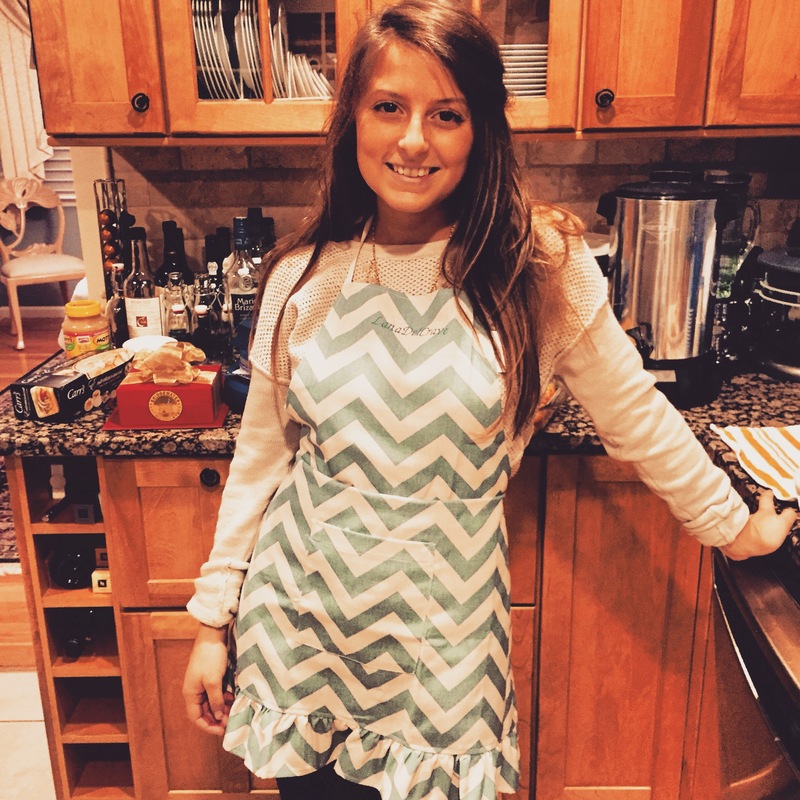 With the weather cooling down quickly and bikini season far behind us, it’s acceptable to eat pasta every night… right? Even during warmer weather, I crave a large, comforting bowl of pasta at least once a week. 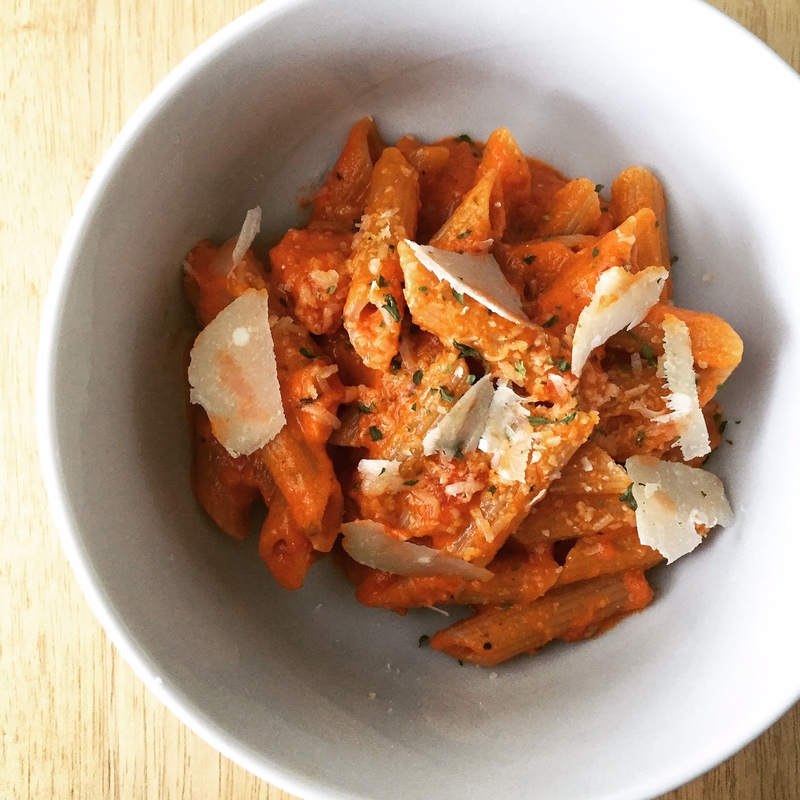 For me, penne vodka is one of the most classically comforting pasta dishes there are. 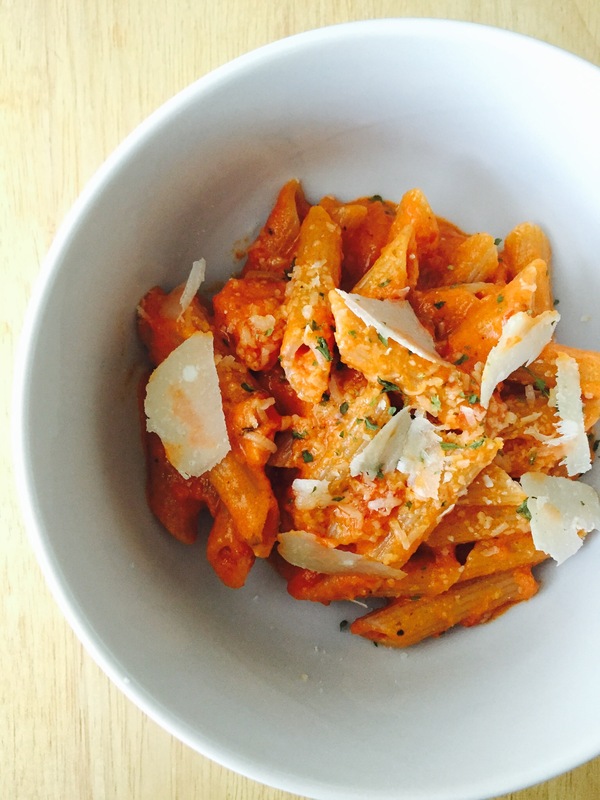 My penne vodka recipe is simple & comes together quickly with only 5 ingredients. 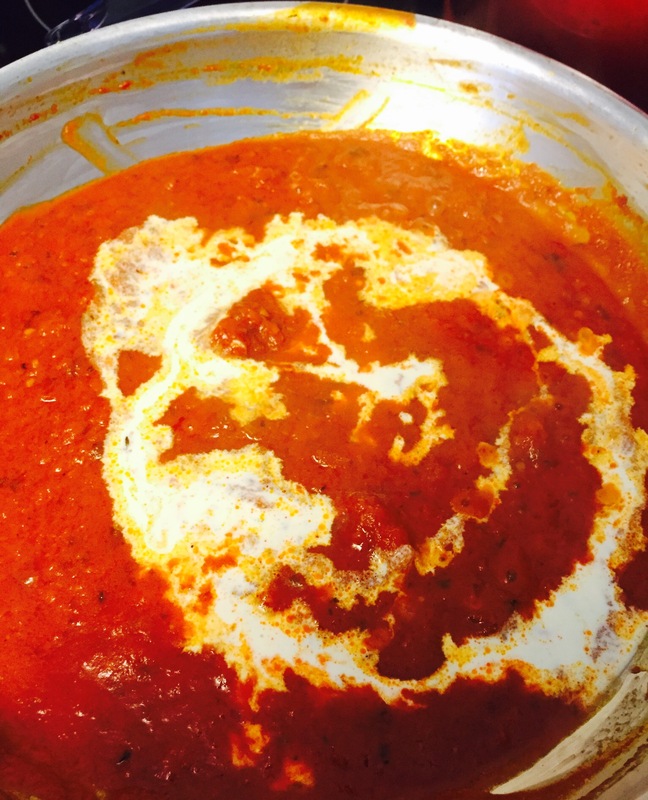 The ‘secret’ is using your favorite jarred marinara sauce as a base for the vodka sauce. I know, I know – if you’re going to go through the effort to buy jarred marinara sauce, why not buy jarred vodka sauce? You’ll just have to trust me; this recipe is totally worth making yourself. As Ina Garten would say, use ‘really good’ ingredients. Because there are so few ingredients in this recipe, it’s important to use the best you can find. Although a bit more expensive, my absolute favorite marinara sauce is Rao’s. This product goes on sale at local grocery stores quite often so when that happens, I’ll stock up to have plenty on hand when needed. 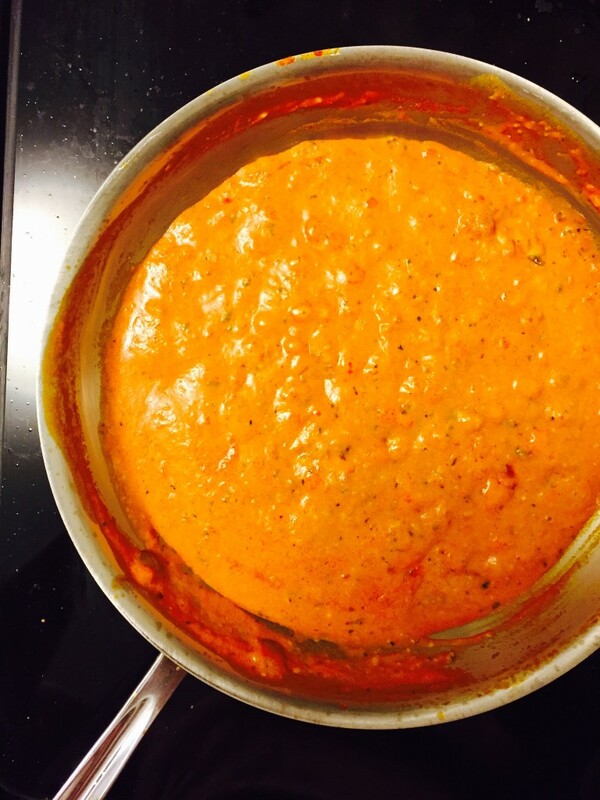 Vodka sauce obviously calls for, you guessed it, vodka! I like to use Absolute because it’s not too expensive but still has a crisp, mild taste – but whatever vodka you have at home will be okay. The alcohol from the vodka will cook out, regardless of what brand you use. This recipe also calls for Parmesan cheese. You can use pre-grated, or buy a hunk of it and grate it at home yourself. Grating the cheese at home is worth the extra step to me because it tastes fresher, but as long as you’re buying high-quality, freshly grated cheese – which you can typically find at Whole Foods, Trader Joes, etc. – you should be good to go! It doesn’t have to be penne vodka. 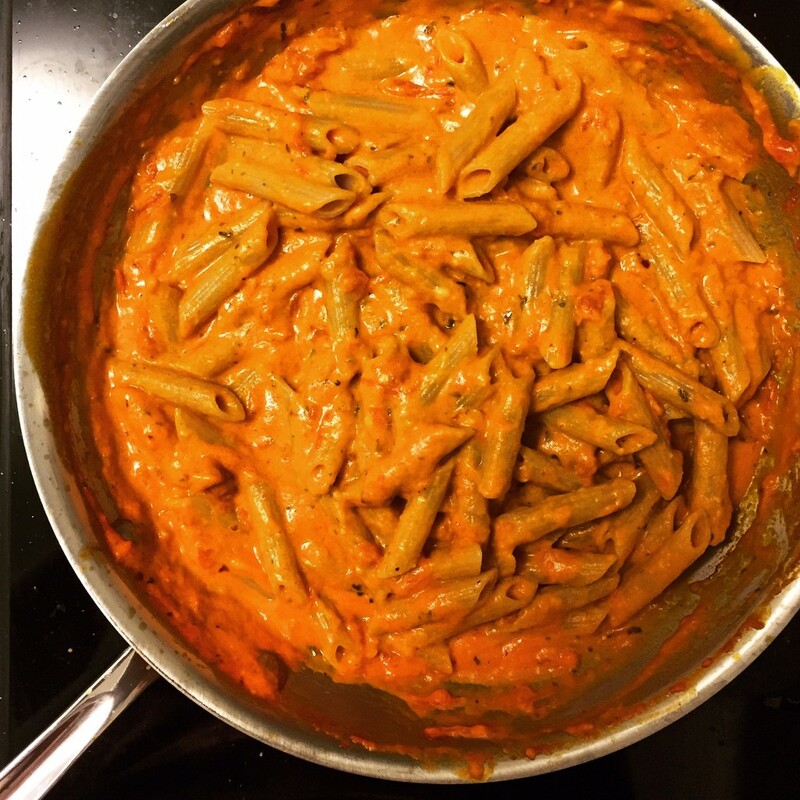 While vodka sauce is typically made with penne, I’ll admit there are times I’ve used other pasta shapes. To me, the pasta is really just a vehicle for this delicious sauce, so whatever shape you have on hand will work perfectly. For gluten free folks: If you keep a gluten free diet, gluten free pasta works perfectly in this recipe. Just be sure to use Jovial brand, it’s the best. Also if you are using gluten free pasta, rinse the pasta before adding it to the sauce. As a cook who pretends to be a professional chef, it typically pains me to watch people make the mistake of rinsing pasta before adding it to sauce. But gluten free pasta is the exception; drain the cooked pasta in a colander in the sink, then rinse with hot water before adding it to the sauce. This eliminates the gummy texture gluten free pasta tends to have, without deterring the sauce from coating it properly. Perform the ‘marriage’. A lot of times I notice people adding sauce to their cooked pasta – DON’T. Instead, add the pasta to the sauce, add any cheese you may be using, then mix until combined. The cheese will melt and bind the sauce to each individual piece of pasta, which makes for a perfectly distributed bite, every time. I get this saying from Anne Burrell on Food Network, who explains the cheese is what marries the sauce to the pasta. Set a large pot of water atop the stove and bring to a boil. Once the water comes to a boil, add a healthy amount of salt (water should taste like the sea) and cook the penne until al dente - tender but still firm to the bite - stirring occasionally so the pasta doesn't stick to itself. Note: Follow the instructions on the pasta's box to cook it properly, as cook time will vary depending on the type of pasta you are using. While the pasta is cooking, make the sauce. 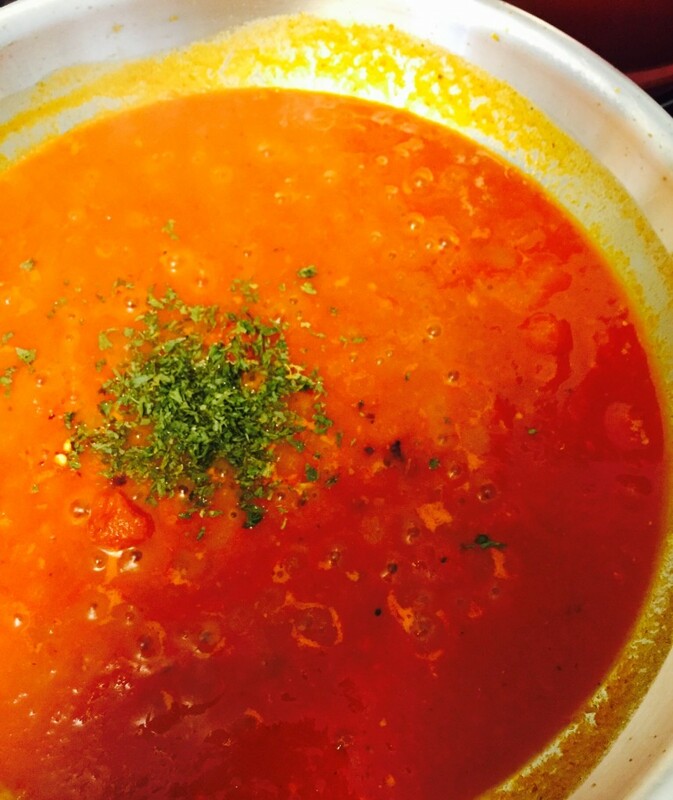 Combine the marinara sauce and vodka in a large pan over low heat atop the stove. Simmer until the mixture reduces by 1/4, stirring often with a rubber spatula, about 20 minutes Add salt and pepper to taste, then the dried parsley and red pepper flake if applicable. Stir in the heavy cream until the sauce is combined and heated through. Once the pasta is cooked, use a slotted spoon to scoop the pasta into the sauce. Add the grated Parmesan cheese and toss until completely combined. Top pasta with additional Parmesan, parsley, and/or red pepper flake. If you are using gluten free pasta, rinse the pasta before adding it to the sauce - Drain the cooked pasta in a colander in the sink, then rinse with hot water before adding it to the sauce. This eliminates the gummy texture gluten free pasta tends to have, without deterring the sauce from coating it properly.